Vodia PBX offers a complete Unified Communications solution out of the box. As an open standards software PBX, installation and management of your phone system have never been easier. 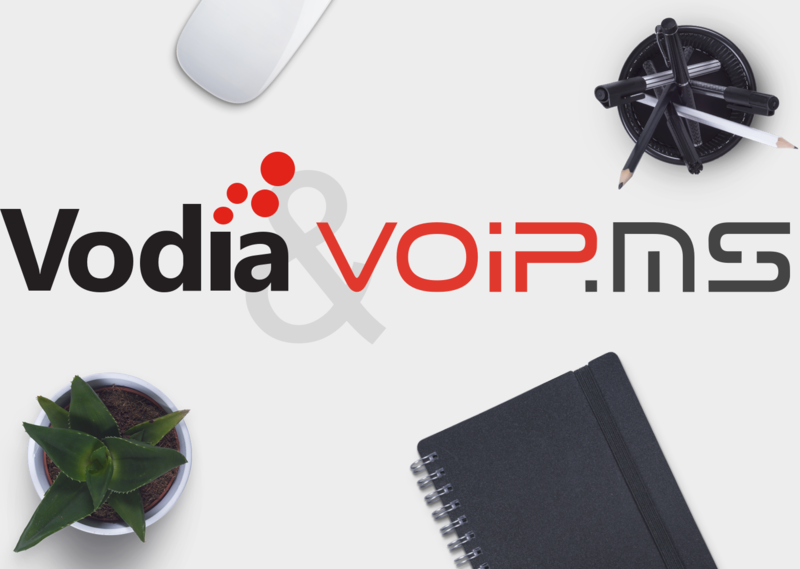 In this article, we will discuss how to set up your VoIP.ms SIP trunk with the Vodia PBX phone system. The first thing is adjusting the Device type. 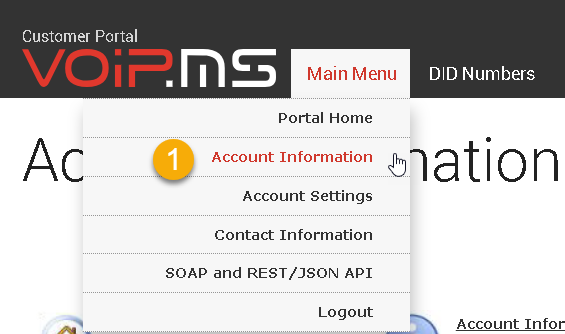 To do so please navigate to Main Menu → Account settings → Inbound Settings and make sure that the Protocol for Inbound DIDs is set to “SIP” and that the Device type is set to “IP PBX Server” and apply any changes made. Next, we are going to set our dialing mode under General setting, Choose American Numbering Plan Administration (NANPA) and apply the changes. Make sure that the DIDs ordered are linked to your account. To do so navigate to DID Numbers / Manage DID(s). Click on the Edit DID icon and make sure that the routing points to SIP/IAX on your main account. Save the configuration when choosing the correct account. 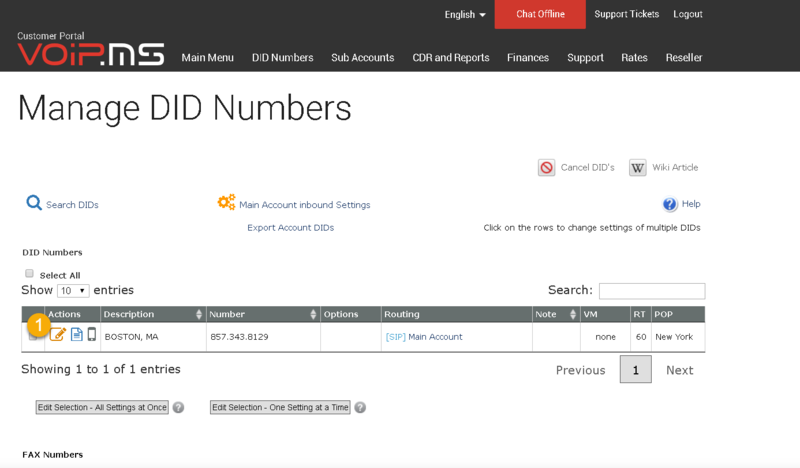 In order to register and operate the trunk in Vodia PBX, you will have to collect some information that will be needed in the configuration of the trunk. Password: The trunk password can be found in the email you received from VoIP.ms during the registration process. 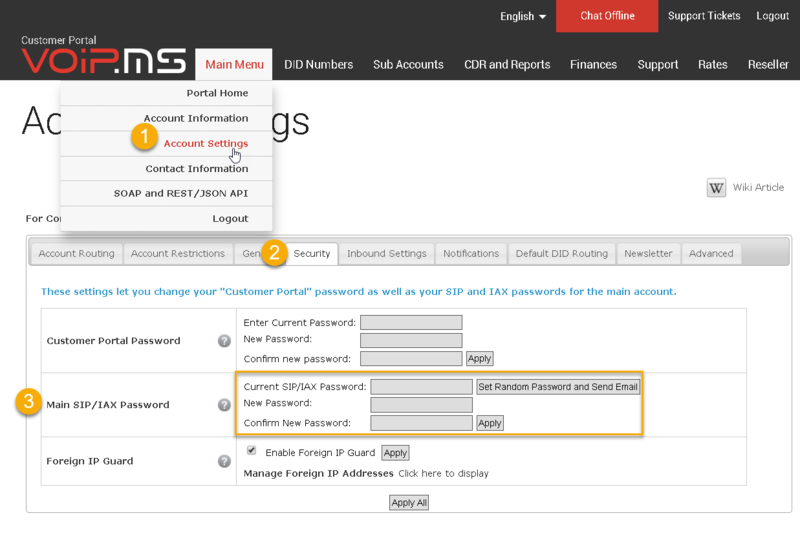 You can also change the password by navigating to Main Menu → Account Settings → Security. Registrar: Go to Main Menu → Account Settings → Default DID Routing. From here, make note of the selected server. In this example, the server in New (newyork.voip.ms) will be the one used for our configuration. 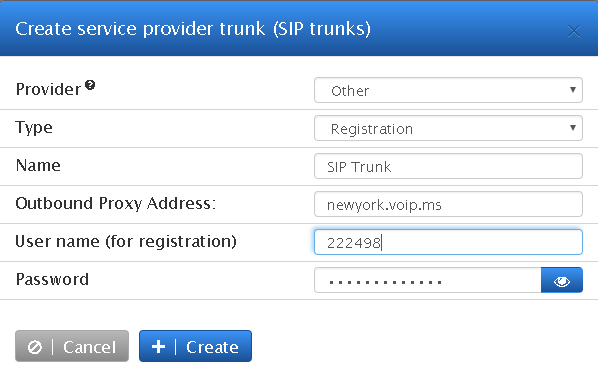 The general instructions outlining how to add a new SIP Trunk to Vodia PBX can be found here. 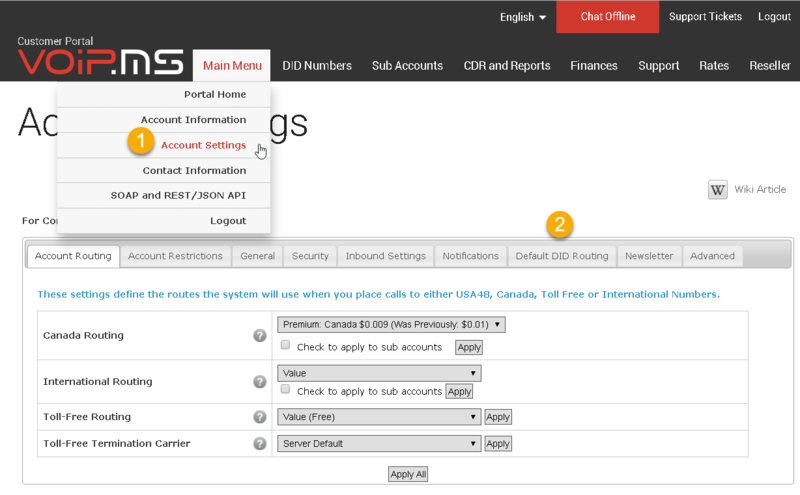 To create a SIP trunk, navigate to your domain and choose VoIP Providers in the left-hand panel, then click the plus button to create a trunk. Choose other under the setting provider. Press create to complete the configuration. We will need to change a few settings to complete the VoIP.ms trunk configuration. Click on your newly created trunk. Explicitly list address for inbound traffic: Enter the IPV4 of your registrar proxy, for example, you can ping newyork.voip.ms (72.251.239.196) or if you not sure, check which registrar server you have chosen under Menu → Account Settings → Default DID Routing. We need to configure the Vodia PBX on how to handle incoming calls on the system. Let's scroll down to Routing / Redirection. under (Destination for incoming call) you will be presented with a drop-down with five routing settings. We will be focusing only on two of the settings in which you can choose the best on that fits your needs. Send calls to the destination in the Request-URI: The Vodia PBX will look at the request URI on an inbound call for example SIP:8573438189@72.251.229.53:5060 SIP/2.0. if this DID is present on the system, Vodia will simply send the call to the specific extension or account on the system. To add a DID to your extension simply navigate to Accounts ---> Extension in your domain, choose an extension you would like to append the DID too. For example, 440 is the extension account then space and the DID number 440 9784567654 you can add multiple DIDs to an extension by simply repeating the same process; 440 9784567654 9784567654 9784567654 etc. 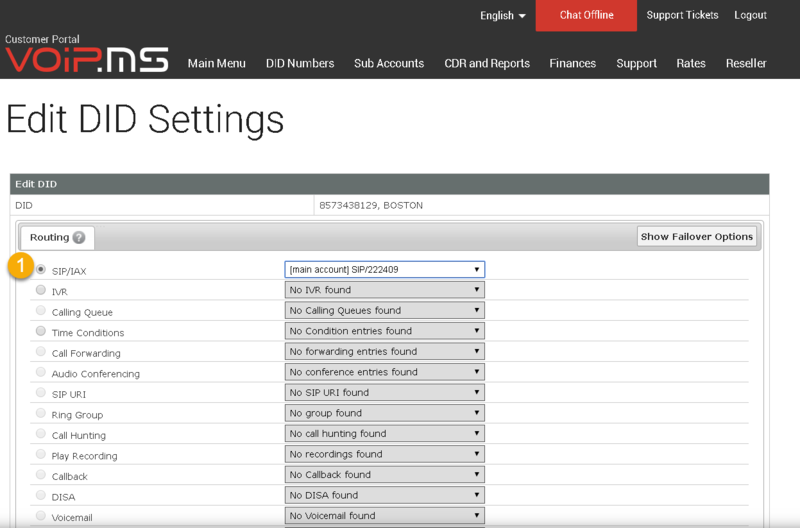 Send all calls to a specific account: You can use this setting to send a call to a specific account on the system, Under (Default Account), Vodia will present to a list of user and account on the system you can choose from.